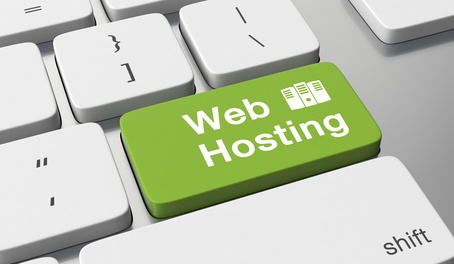 These days businesses can choose various types of web hosting, thanks to technological advancement. Windows Server hosting, for example, primarily operates on the same server where all your business content is saved while at the same time managing other events so that your website run seamlessly. In some situations, which operating system (OS) to use is an important consideration such as Window web hosting, Linux or something else. What makes Windows Server Hosting Unique? The bulk of Windows hosting plans available today comprises Windows Server 2003 as well as Windows Server 2008 which originated from the Windows NT core. These Windows web servers possess robustness and versatility that can parallel the features offered by UNIX and Linux. The Windows server hosting distinguishes itself from Linux by its capacity. ASP.NET is considered pivotal to Windows server hosting. ASP.NET enables developers to produce dynamic, unique as well as interactive website content that draws potential clients to their websites. The ASP.NET structure helps in streamlining the process of developing web applications by providing embedded codes to deal with basic functions utilized frequently. As ASP.NET is a Microsoft project, and can only be included in a Windows server hosting service. ● Familiarity with Windows Operating System makes it easy to use Windows Server Hosting. ● Net framework by Windows Server hosting can provide you what you need if your website runs on visual basic or .net. ● Ideal businesses that use Visual Interdev or proposing to develop Windows-based applications on their site. ● Windows Server Hosting makes operations easier with the help of the Front Page extensions, especially for users, who are familiar with Microsoft Front Page. ● Windows integrates your website data seamlessly from an Access database. Despite a multitude of benefits that come with Windows Server Hosting may be appealing, it’s also important that you consider the limitations of the hosting plan before taking the final step. Equip your business with Microsoft Exchange with custom solutions that leverage the maximum advantages of the sharp-edged Microsoft technologies. In-addition, leverage the high performing and high-quality mailing solutions. Contact us for a no-obligation consultation, 24/7.